The kitchen serves as the center of any home. It’s where your client cooks, eats, congregates, and entertains. It’s where the kids do homework, and where the spouses make tough decisions. 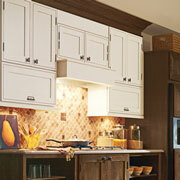 ProSource® of Gonzales offers the best cabinets, countertops, and sinks on the market at wholesale prices. So, bring your client to our showroom, and let’s get their remodel project underway. If your client is only looking to upgrade one or two features in their kitchen, encourage them to choose kitchen cabinets. The cabinets carry a lot of the feeling and mood of the space. Consult one of our design experts at ProSource of Gonzales to make the best decision when choosing your client’s new kitchen cabinets. 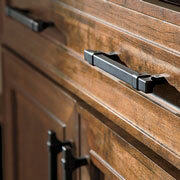 Think of your client’s cabinet hardware as the personality of their kitchen cabinets. You can go with knobs, handles, or pulls to access any of your cabinets, and your client can choose from a variety of styles, colors, and designs to match their kitchen vision. Your countertops bring together more than just your kitchen; they bring people together too. Colors, designs, and styles are abundant at our Gonzales showroom. 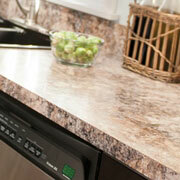 You can also choose from quartz, marble, and recycled materials, to name a few. 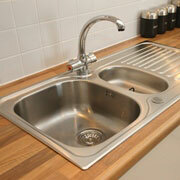 A new kitchen sink is a subtle aesthetic upgrade with monumental functional influence. If you go from a traditional double bowl to a deep single bowl, it could change the way your client feels about hand-washing dishes. Consider one of our Executive Chef Top-Mount sinks at our Gonzales showroom! Your sink is incomplete without a faucet. Our showroom offers a myriad of styles, design, colors, and functions when it comes to kitchen faucets. 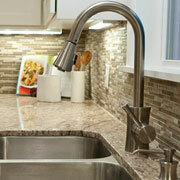 Bring your client in and consult one of our design professionals to choose the best faucet for your kitchen remodel.